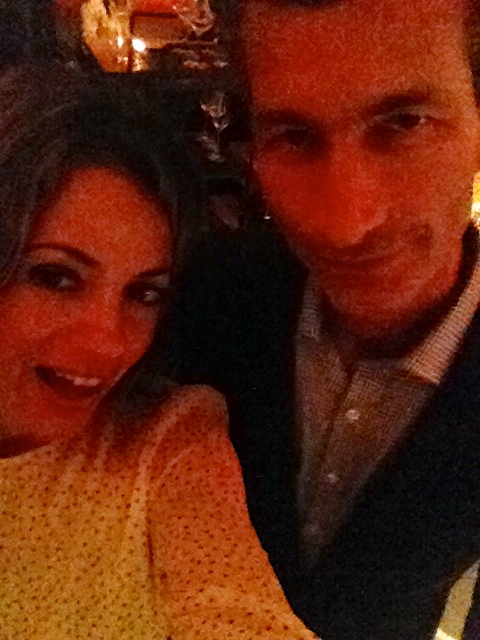 My favorite thing about Gato, is that my new “bff” is the chef there (unbeknownst to him). The journey began in Paris last December. One evening, in a tiny restaurant in Montmartre (where no one spoke english), my Mum and I sat down next to one of America’s most beloved chef’s, Bobby Flay. This was an auspicious moment for the memory banks. Chef Flay and his business partner for more than 20 years, Laurence Kretchmer, were on a three city night tour of Europe’s best culinary cities. 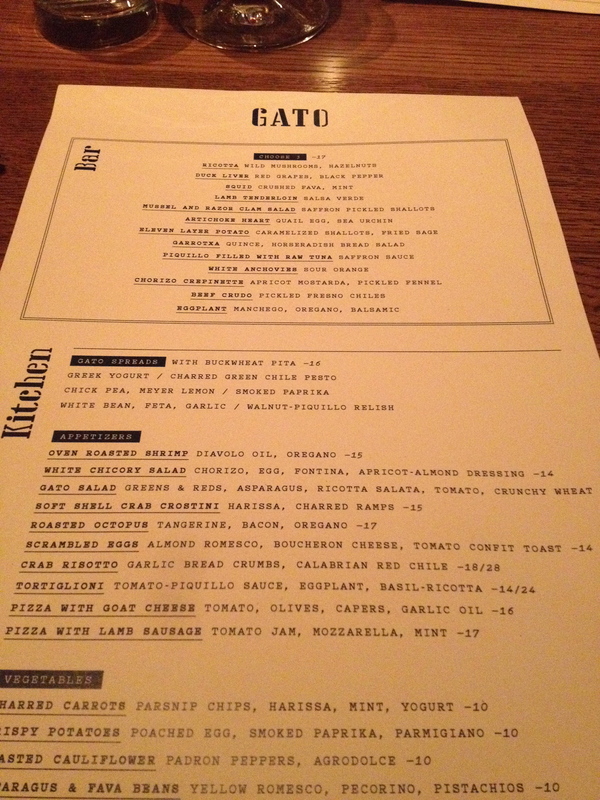 The objective of their mission was to get inspiration for his menu at their new restaurant Gato. 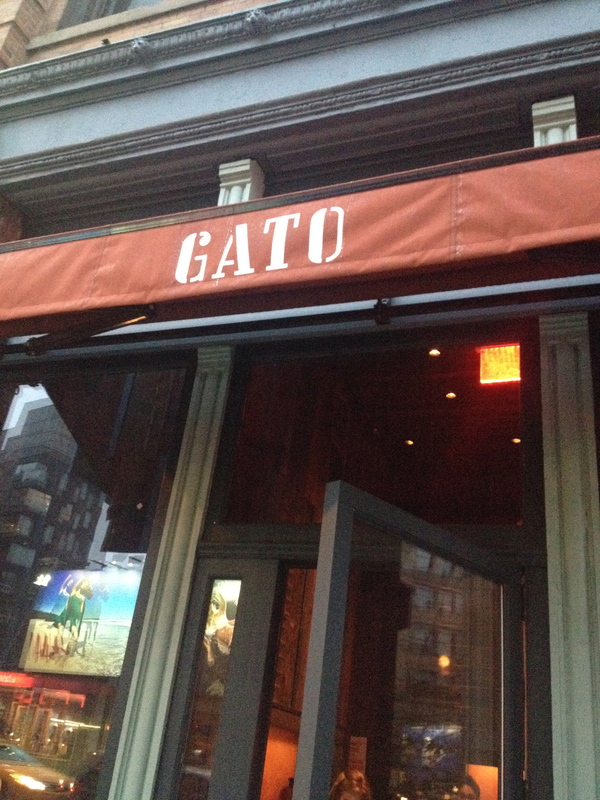 My quest aside, Gato should be on everyone’s list for dining experiences in New York. With its brick facade, island bar, and a sophisticated menu, Bobby Flay has spun something really special. We were impressed by the variety of dishes on the mediterranean inspired menu. 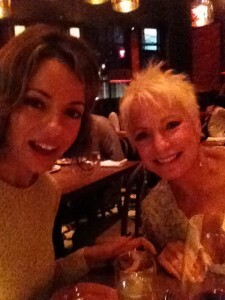 I recommend ordering from the bar menu and a few appetizers. 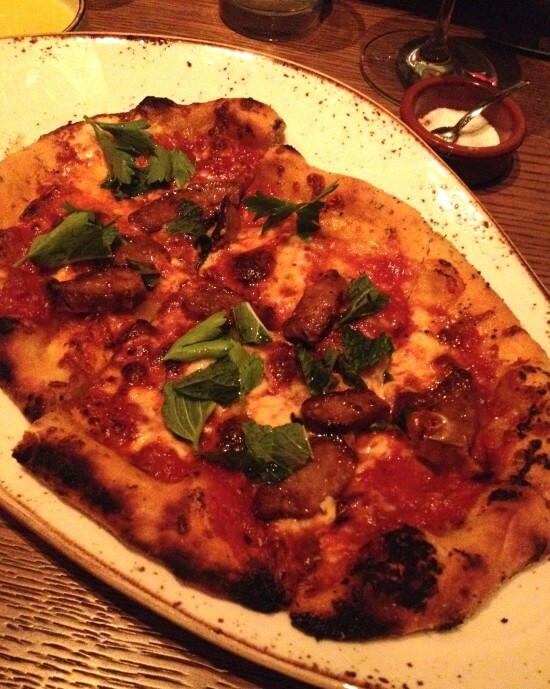 One of my favorite things on the menu was the lamb sausage pizza. Who knew America’s hamburger king could do Italian so well? Chef Flay not only does pizza well, he elevated a breakfast item and made it into what I think, is the best thing on Gato’s menu- the scrambled eggs with tomato confit toast. 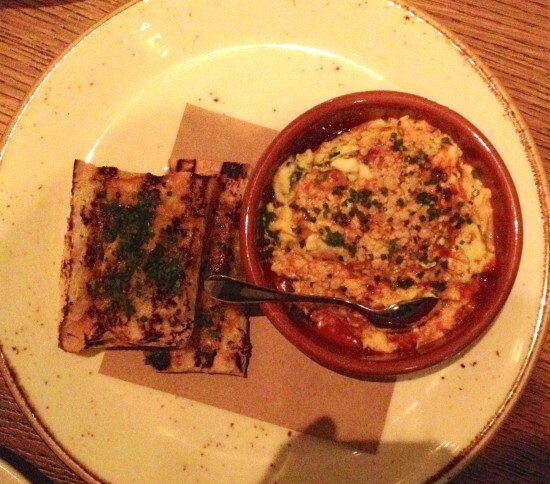 Leave it to Chef Flay to think outside the box and bring a beloved breakfast item into a gourmet appetizer! Update: Chef Flay does have a bff, his name is Taco and you can follow his treasured cat on Instagram here.